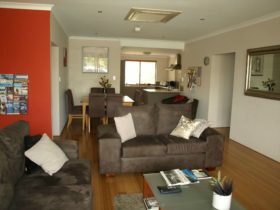 Busselton Jetty Chalets is a small group of fully self-contained chalets central to Busselton and close to the beach. 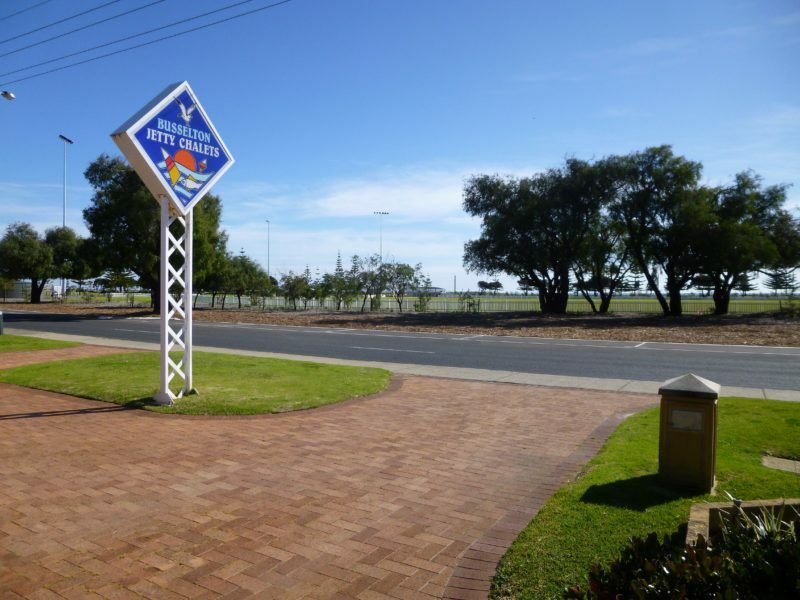 They are situated opposite a park and only a short walk to shops, hotel, restaurants, the famous jetty and tennis club. They pride themselves in offering you a friendly ‘home away from home’, with all modern facilities to make your stay relaxed and comfortable. 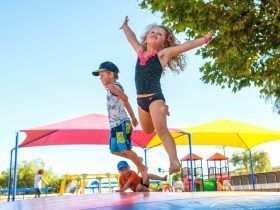 A guest laundry, barbecue facilities and a playground are all on site. Chalets are serviced weekly or on departure. 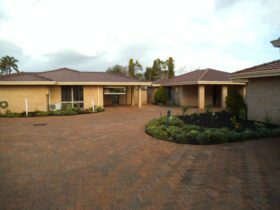 Busselton is situated at the gateway to the Margaret River Wine Region, most of the wineries and vineyards are located in the Busselton shire. 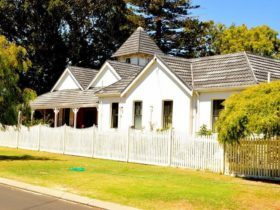 It is perfectly located to take in the pristine, calm waters of Geographe Bay or spectacular scenery and rugged surf beaches of Cape Naturaliste and Leeuwin areas. 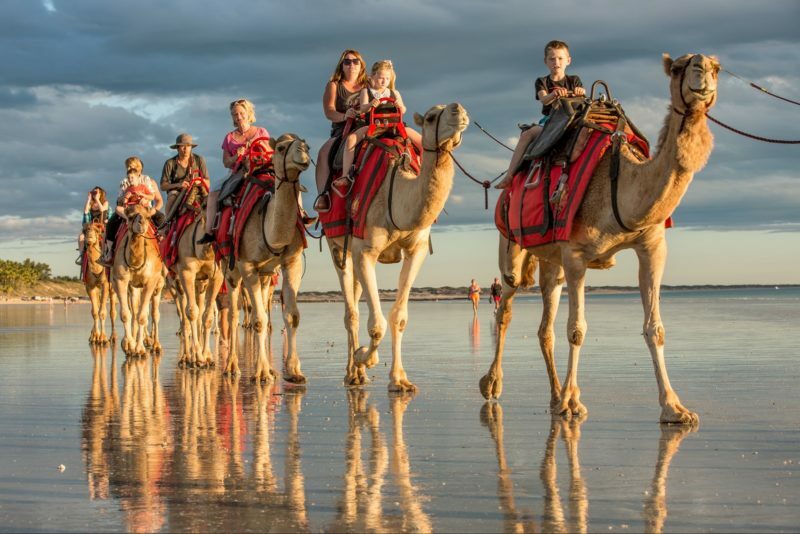 Enjoy the surrounding towns of Dunsborough, Yallingup, Augusta, Nannup, Balingup, Bridgetown, Donnybrook, Capel or Bunbury, all within an easy day trip from Busselton. 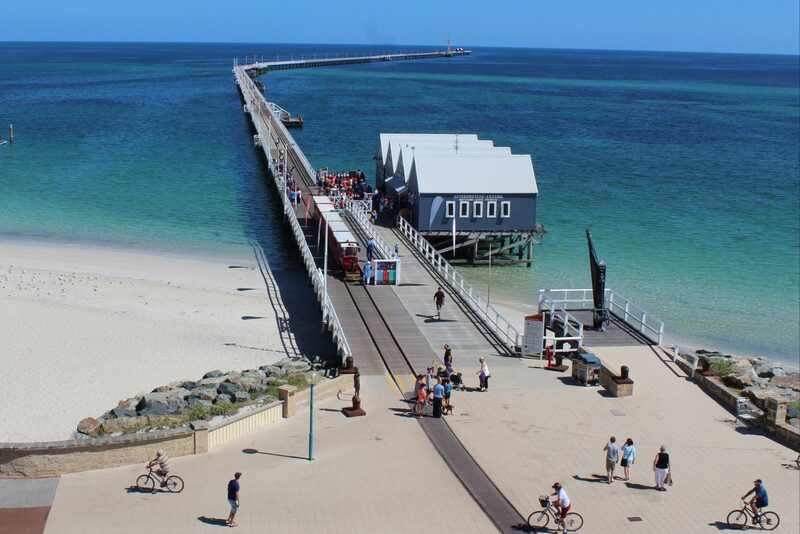 Make Busselton Jetty Chalets your base to discover and explore the magic of the Margaret River Wine Region. Sleeping up to five guests, the chalets are comfortable and spacious. A fully equipped kitchen and private bathroom are featured. 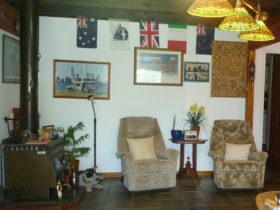 Facilities include reverse cycle air-conditioning, plasma television, DVD player, clock radio and laundry facilities. 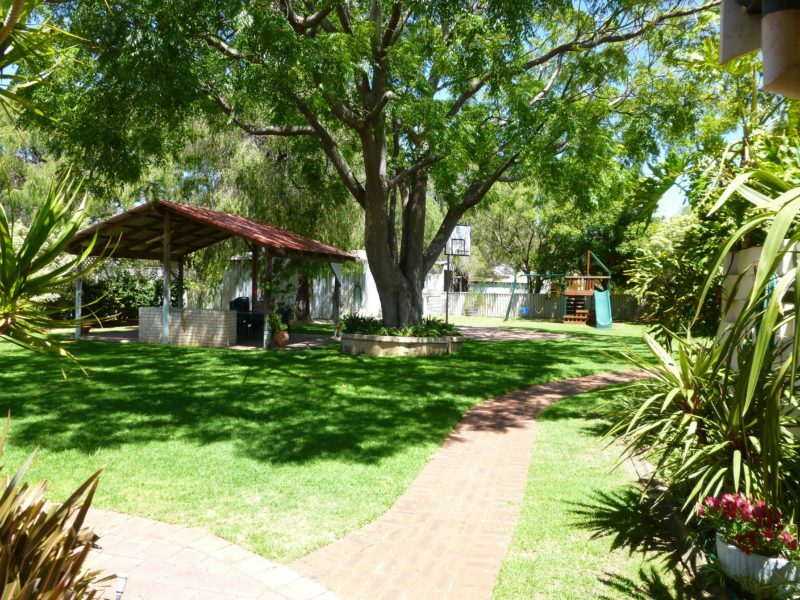 A children’s playground area is situated close by and a communal barbecue area is available for guest use. Iron and ironing board are available free of charge. Free WiFi access. The tariff AUD130 is for two people on a twin share basis. Extra beds used could attract extra tariff depending on the length of stay.